Six full practice tests plus easy-to-follow expert guidance and exam tips designed to guarantee exam success. 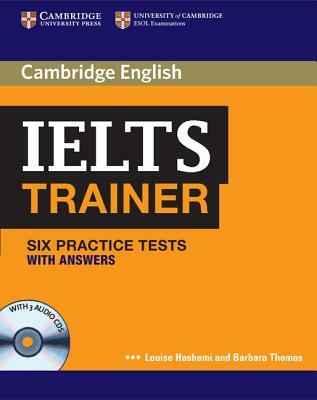 As well as six full practice tests, IELTS Trainer offers easy-to-follow expert guidance and exam tips designed to guarantee exam success. The first two tests are fully guided with step-by-step advice on how to tackle each paper. Extra practice activities, informed by the Cambridge Learner Corpus, a bank of real candidates' exam papers, focus on areas where students typically need most help. This 'with answers' edition includes audio CDs featuring all the listening activities from the tests as well as an explanatory key with model answers for the Writing paper.